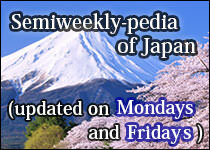 In Japanese, the word "kaikyo" means strait. 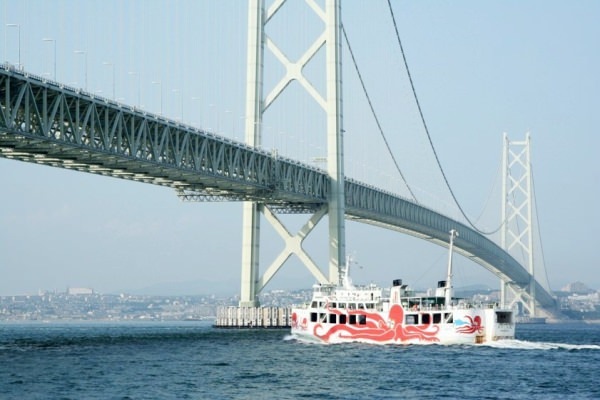 So, Akashi Kaikyo Bridge is the bridge in Akashi Strait in Seto Inland Sea (refer to #046). This is the longest suspension bridge in the world, connecting Kobe (refer to #038) and Awaji Island (refer to #047). 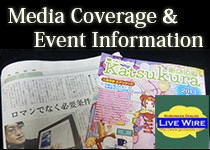 It is also the fourth tallest structure in Japan. 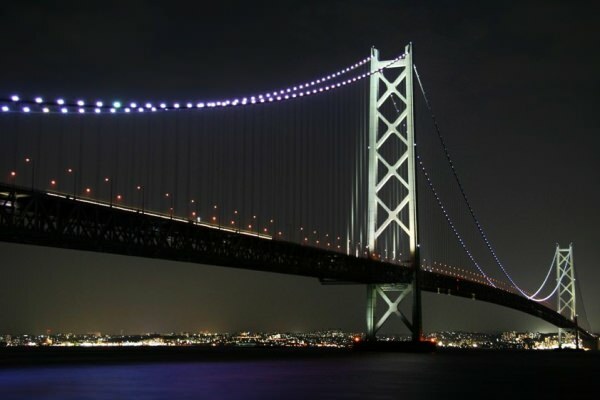 Akashi Kaikyo Bridge withstood the Great Hanshin earthquake occurred in 1995, when it was still under construction. This beautiful bridge is also known to the world for the nickname of Pearl Bridge.